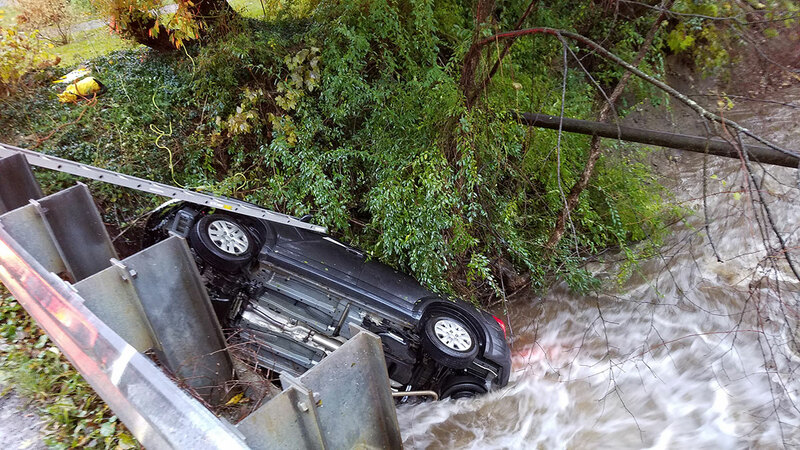 On November 1, 2018, at 5:27 PM, West Mead 1 and Meadville Ambulance were dispatched to Thurston Road in West Mead Township for a reported motor vehicle accident with one vehicle down an embankment off a bridge. 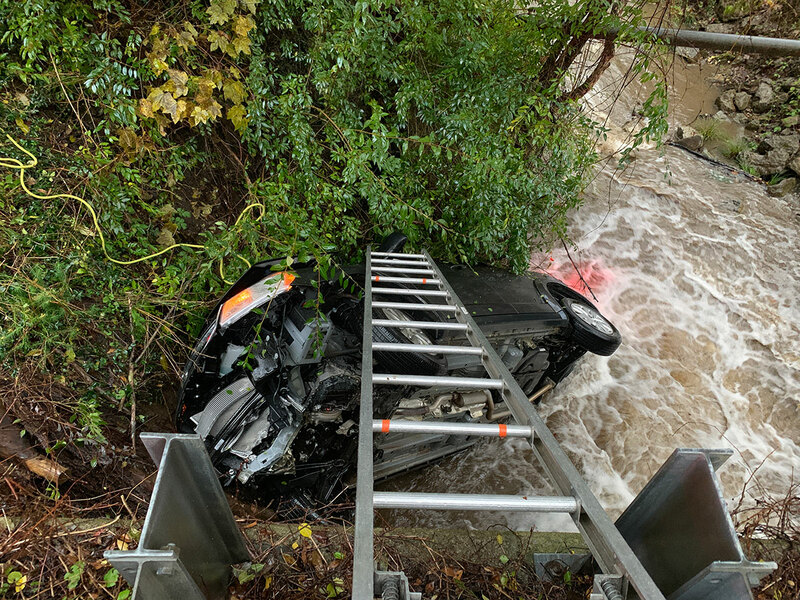 28 units arrived on scene and found two patients self-extricated from the vehicle with minor injuries, but trapped down the embankment. 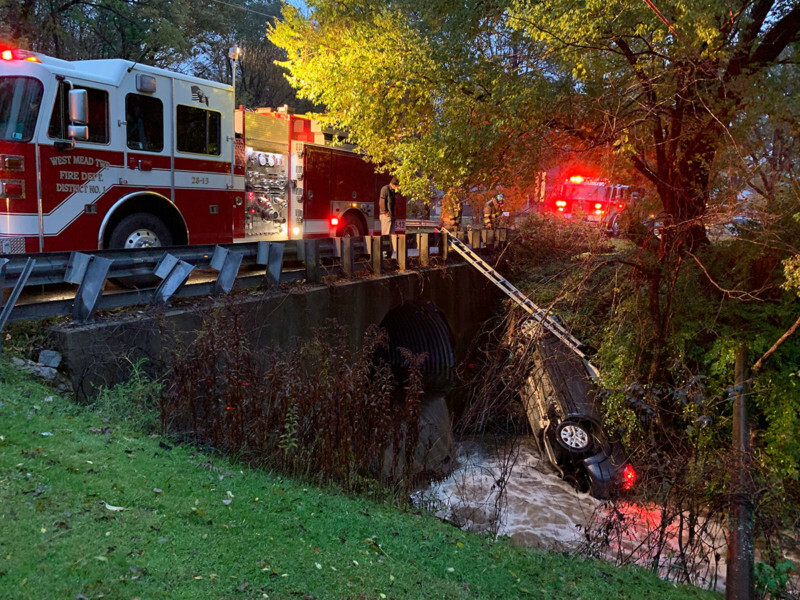 28-13, 28-12, and 28-11 responded and established an assessment of both patients and vehicle stability near the swift water. 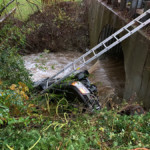 The Crawford County Firemen’s Scuba Team was placed on standby as a precaution. 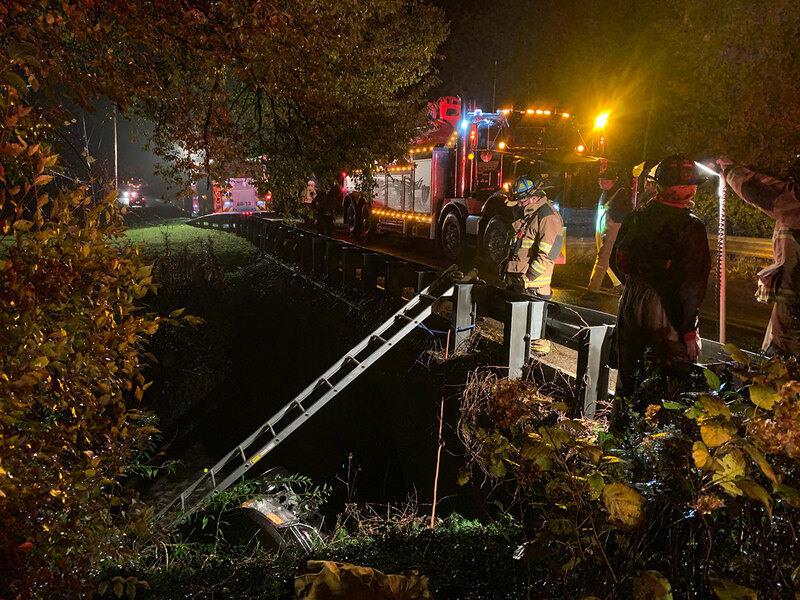 28 personnel secured three safety ropes to the bridge and a nearby tree and dropped ropes to the patients for safety. 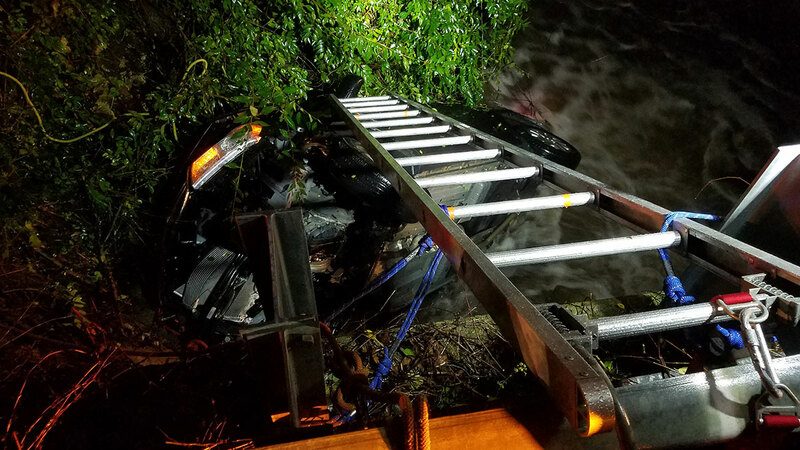 28 set up a roof ladder from the guard rail to the vehicle and sent one rescuer down to assist. 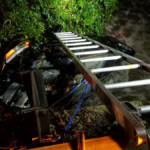 The patients were secured to the safety ropes and climbed the ladder back to the roadway one at a time. 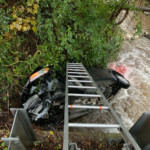 The Scuba Team was placed in service after all individuals had been safely removed. 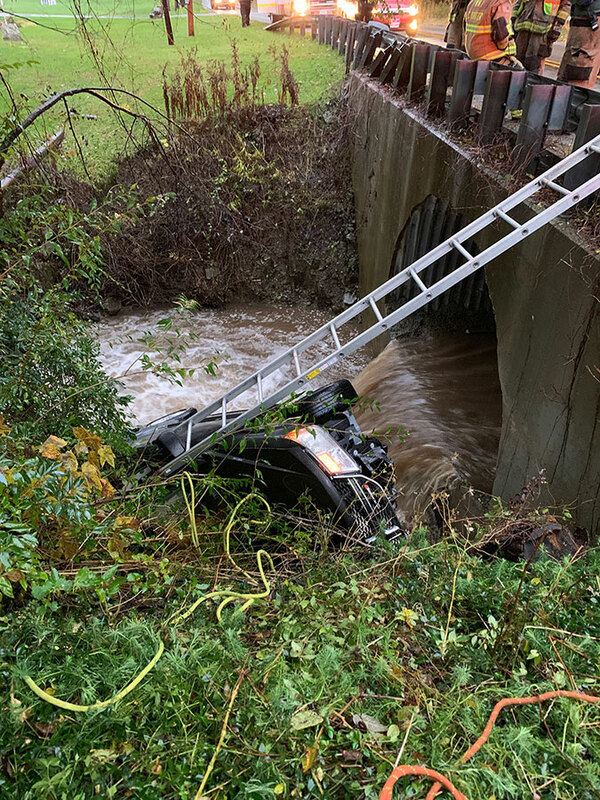 Hayden’s Towing was requested and responded, but they determined the vehicle’s distance down the embankment would require specialized equipment for lifting. 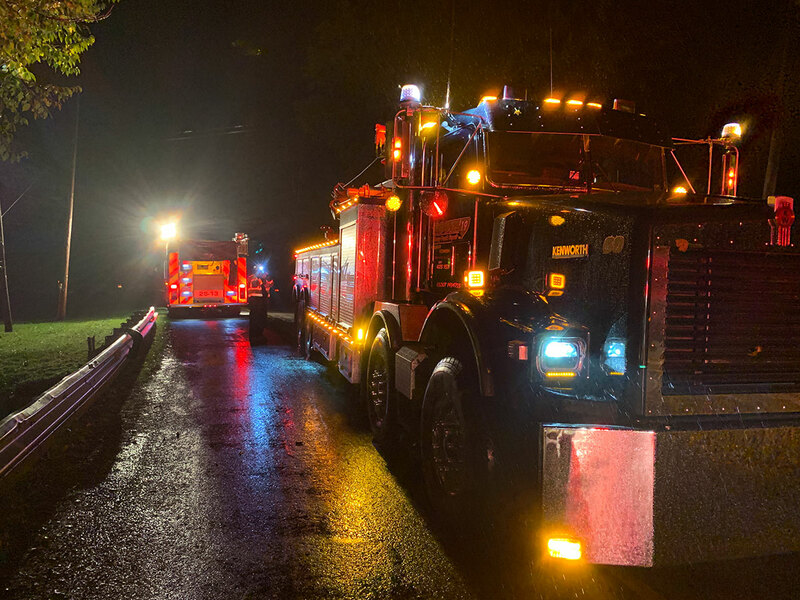 Route 19 Heavy Truck Repair was called to retrieve the vehicle. 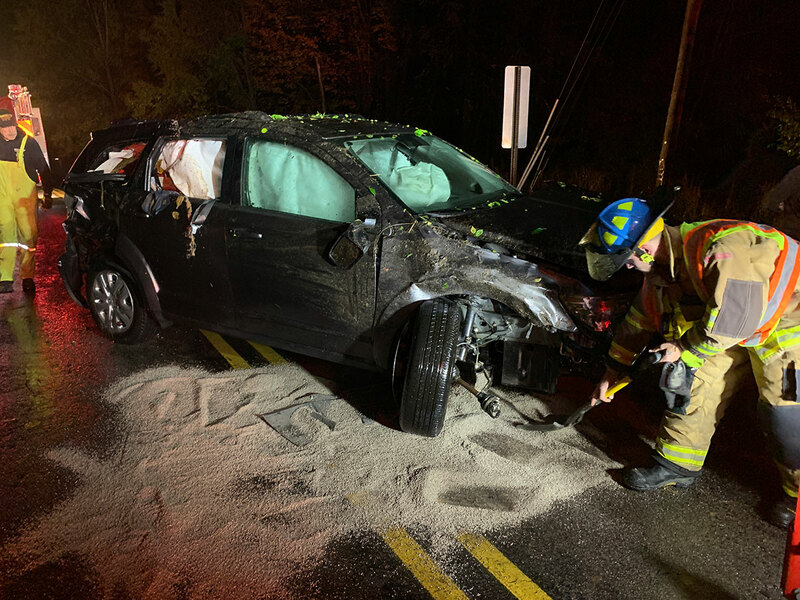 Using a large tow truck with a rotating hook, Route 19 successfully hoisted the vehicle back to the roadway. 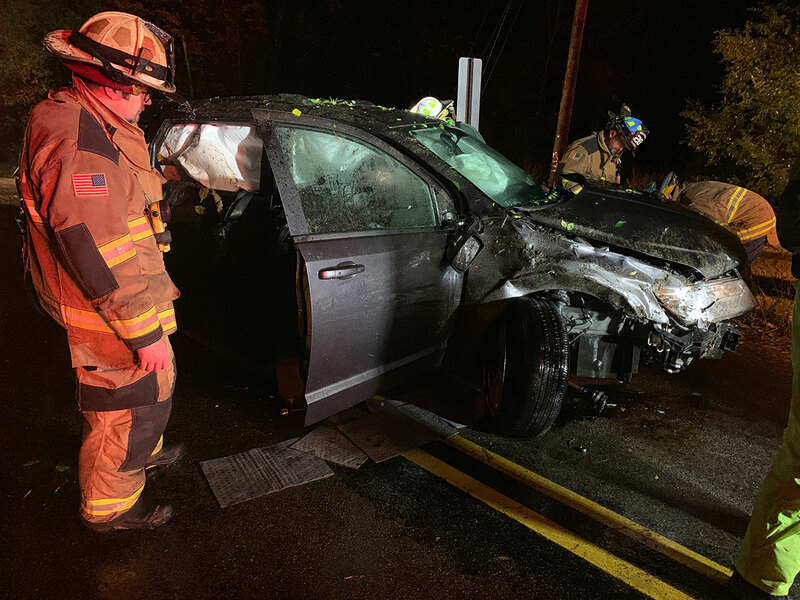 West Mead 1 was assisted on scene by Meadville Ambulance, West Mead Police Department, Hayden’s Towing, and Route 19 Heavy Truck Repair. 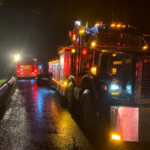 The Crawford County Firemen’s Scuba Team was on standby at their station. 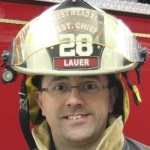 Assistant Fire Chief Craig Lauer has served with several fire departments in western Pennsylvania, including five and a half years with Lake City Fire Company in Erie County; one year as a paid EMT and volunteer firefighter in Tarentum, PA; and over ten years of service with West Mead #1. Craig works in IT at Pittsburgh Glass Works (PGW) in Meadville, PA.